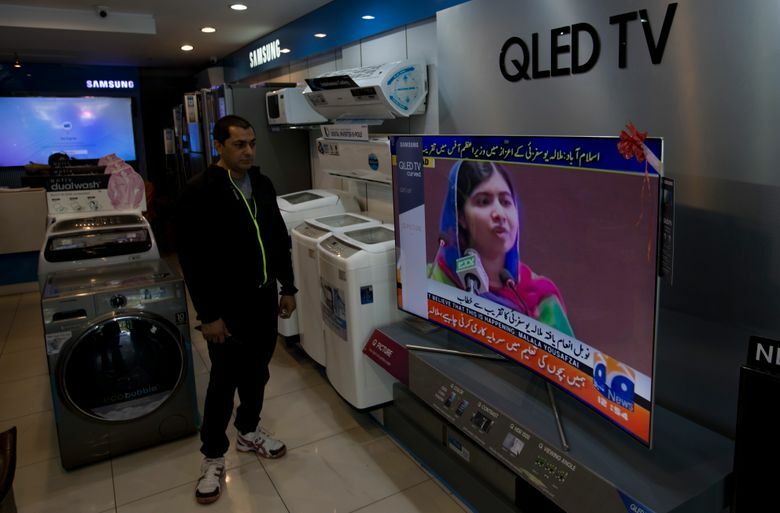 ISLAMABAD (AP) — As Malala Yousafzai spoke of coming home to Pakistan for the first time since being shot by the Taliban five years ago, the emotions flooded back — and so did the tears. The 20-year-old Nobel laureate returned Thursday for a four-day visit. She told an audience in the prime minister’s office of how she had longed to be back in Islamabad or Karachi even as she promoted her message of girls’ education around the world. As the reality hit home for Yousafzai, her usually self-assured composure vanished. Her lip quivered and she cupped her hands over her face to hide the tears. But the grit that has come to define Yousafzai soon returned. She took a deep breath, wiped the tears and resumed speaking. 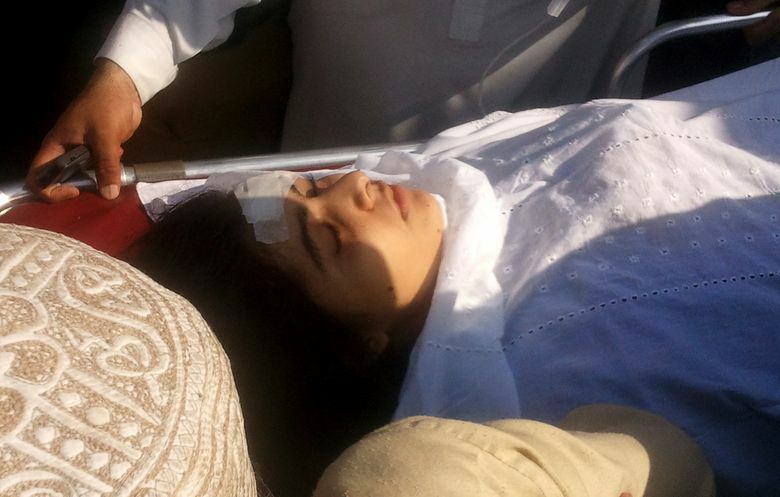 Accompanied by her parents, Yousafzai landed in Pakistan just before dawn flanked by heavy security. Secrecy surrounded her arrival as well as details of her visit, which is expected to last until Monday. 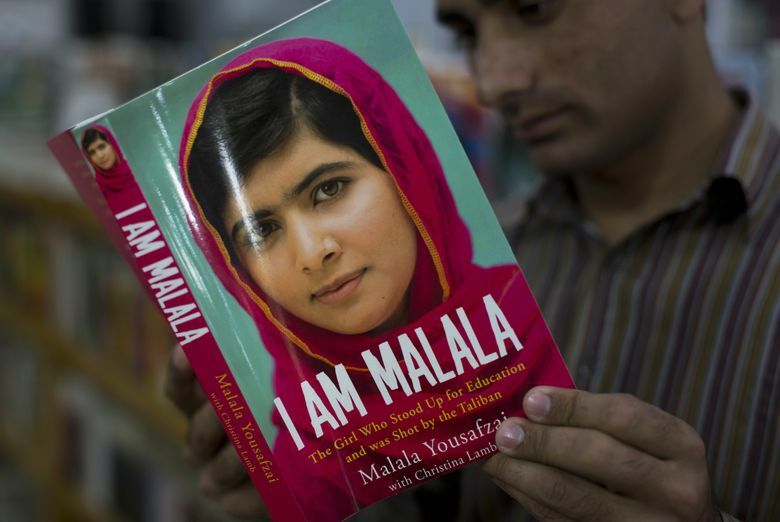 In October 2012, Yousafzai was shot in the head by a Taliban assassin who had jumped inside her school van and yelled, “Who is Malala?” She had been targeted for speaking out on education in her home of Mingora in the Swat Valley. 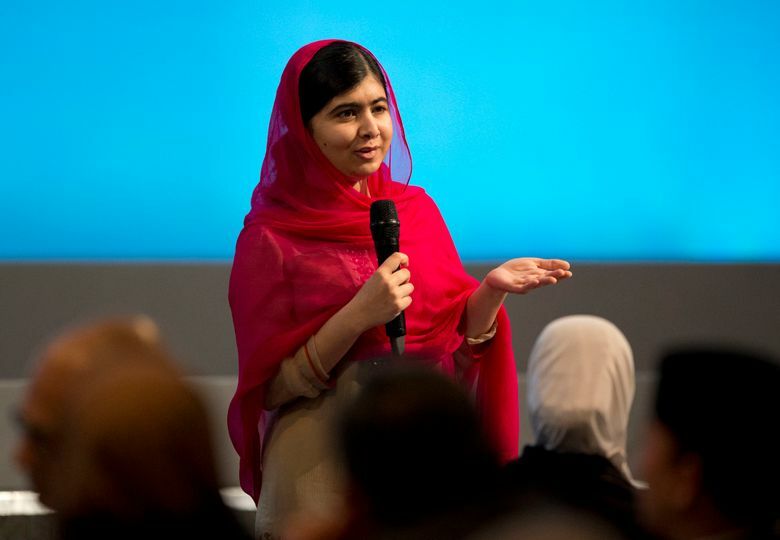 Since her attack and recovery, Yousafzai has led the Malala Fund, which she said has invested $6 million in schools and to provide books and uniforms for schoolchildren. 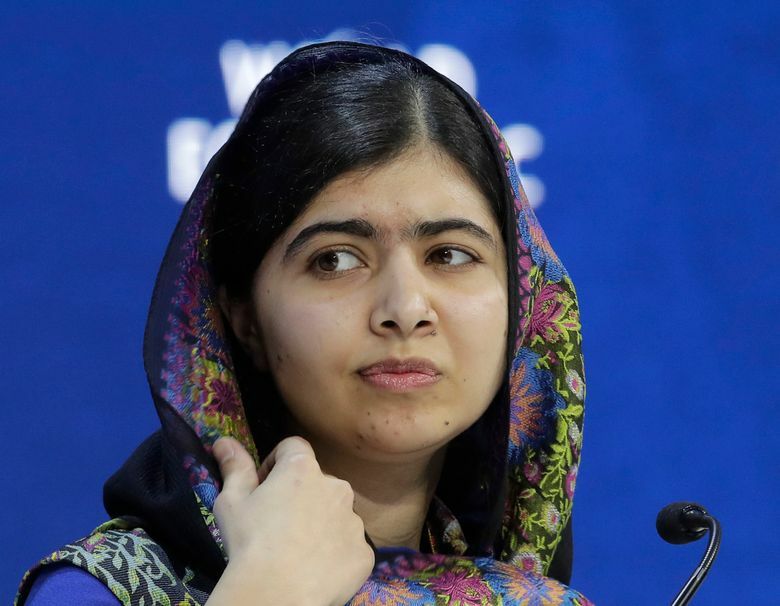 She became the youngest person to be awarded the Nobel Peace Prize in 2014. Her first meeting in Pakistan was with Prime Minister Shahid Khaqan Abbasi. 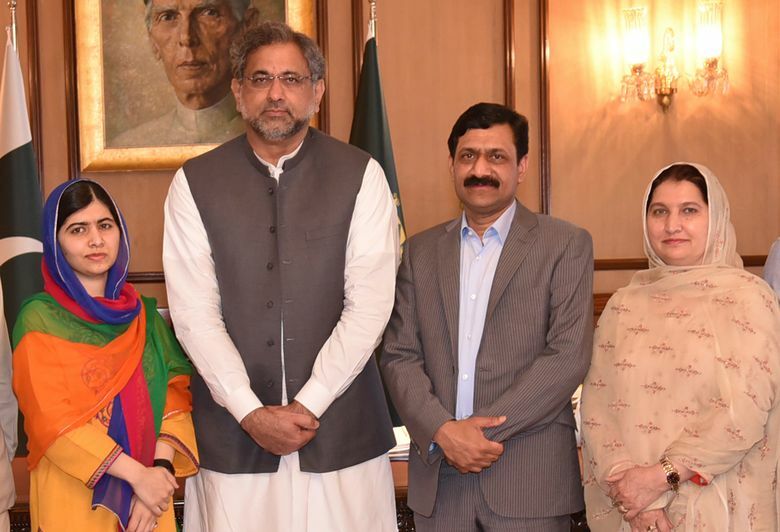 While no one said whether she or Abbasi initiated her brief return, the government touted it as a sign the violent militancy has been defeated in the Islamic nation. 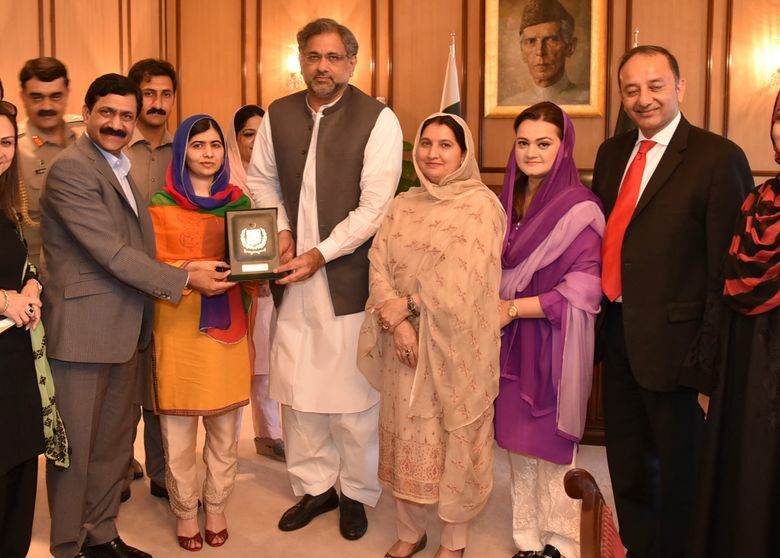 Abbasi praised Yousafzai for her sacrifices and activism. He said he was happy to welcome her home, where he said “terrorism has been eliminated” — a line often repeated by Islamabad despite persistent militant attacks in the country. Yousafzai’s native Swat Valley still sees occasional attacks, although the military largely has restored peace since retaking the area. In February, a suicide bombing there killed 11 troops, underscoring the threat that still exists. 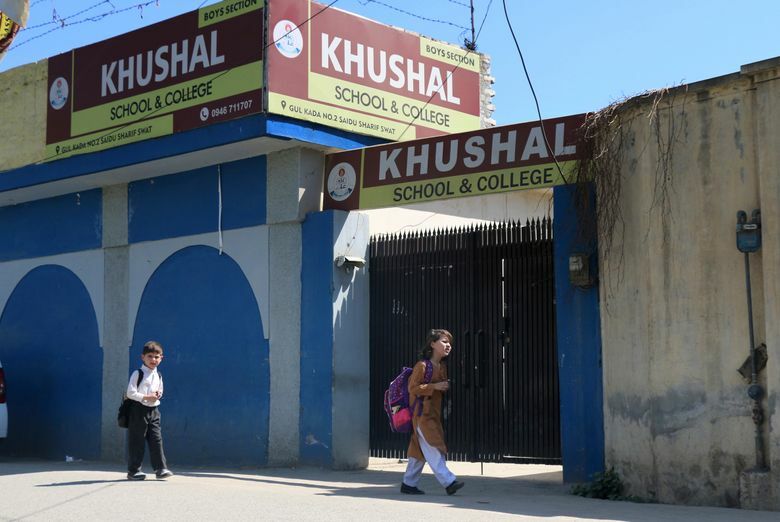 A new school financed by the Malala Fund is to be inaugurated in the area, and there have been questions whether she would visit Mingora, but security officials and residents say it’s unlikely. As news broke of Yousafzai’s arrival in Islamabad, many Pakistanis said they welcomed her. Mohammad Hassan, one of her cousins in Mingora, said it was one of the happiest days of his life. He said local schoolchildren were jubilant and wanted to greet her. “I wish she had come here, but we welcome her,” she said. Marvi Memon, a senior leader of the ruling Pakistan Muslim League party, said called her return a “proud day” for the country. “What an incredible surprise I woke up to this morning” to know that Yousafzai is back along with her parents, Memon said. Postings on social media welcomed her, many using the affectionate “child” when referring to Yousafzai, now a student at Oxford. Yousafzai was only 14 when she was shot, but already was well-known for advocating education. Two of her classmates also were wounded. She was flown in critical condition to the garrison city of Rawalpindi before being airlifted to Birmingham, England. 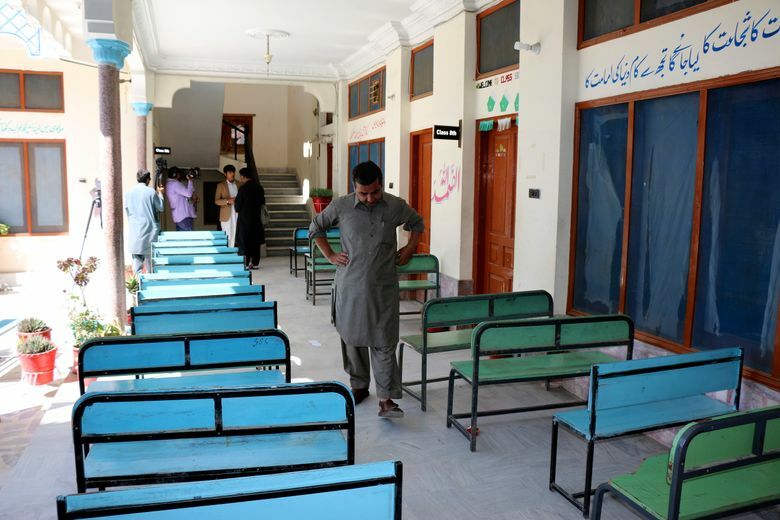 Pakistani officials say they captured several suspects in the attack, but the head of the Taliban in Pakistan, Mullah Fazlullah, is still on the run and believed to be hiding in neighboring Afghanistan. Yousafzai has always taken delight in telling the Taliban that instead of silencing her, they have amplified her voice around the world. After her recovery, Yousafzai has since written a book, spoken at the United Nations and met with refugees, mesmerizing the world with her eloquence and her unrelenting promotion of education for girls. However, she has drawn criticism from some in Pakistan as a Western mouthpiece, with a few even suggesting that her shooting was staged. Yousafzai has repeatedly responded to the criticism with a grace far outstripping her years, often saying that education is not just for those in the West. Yousafzai has championed Pakistan and often spoken in her native Pashto language, always promising to return home. Gannon reported from Kabul, Afghanistan. Associated Press writer Sherin Zada contributed from Mingora, Pakistan.